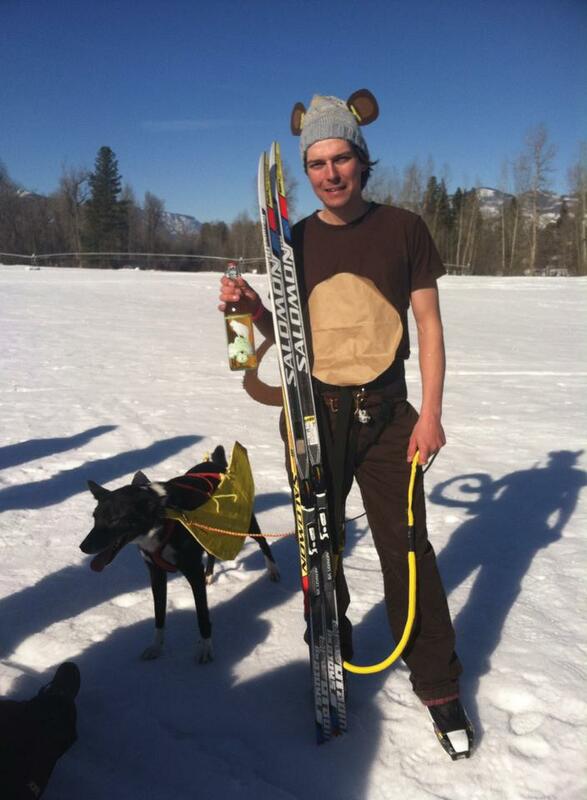 Join Methow Trails for a wacky and wonderful community event. A Methow tradition, dogs and their humans join forces at the Town Trailhead to compete in a 6-legged race like no other. It’s all about the costume, and a dose of good luck out on the course. Human-dog teams compete in short heats (based on dog size and human age) to go for the glory of the coveted Golden Poodle award. Humans must ski. Dogs must run. Both must be connected by leash… it’s that simple. Kid (12 and under) and Dog (any size) Team: 1st, 2nd, 3rd place. Human & Small Dog (<40 lbs) Team: 1st, 2nd and 3rd place. Human & Large Dog Team: 1st, 2nd and 3rd place.